Coaches still do not make as much money as quarterbacks or even point guards… but they still do pretty well. A good NFL coach commands a salary which reflects the high profile job that he holds. Few professions on the planet are as high profile… or as high pressured. The coach, whether he be in the NFL, NBA or MLB is always on the hot seat. His every move is questioned and analyzed both on the field… and the next day in the press. Last year, Head Coach Bill Belichick was the highest paid coach in the USA in any sport, professional or college. He was pulling in around $7,500,000 for coaching the New England Patriots…a team which has hovered around first place in the NFL for several years now. By a most ironic twist of fate, the honor this year goes to New Orleans Saints head coach Sean Payton who ended up with a five year deal at an estimated $8,000,000 per year. The irony is that Payton has NFL Commissioner Roger Goodell to thank for the pay raise. 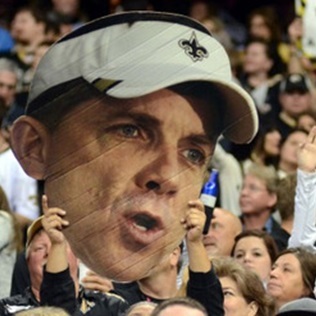 As you will remember, Sean Payton didn’t even work as a coach last year. He was under suspension by Goodell and company for his alleged involvement in the now very tiresome ‘bountygate’ scandal. Payton had signed an extension of his existing contract with the Saints but somehow that extension was voided by the commissioner’s office while he was under suspension. Goodell appeared to be attempting to further punish Payton during his suspension but, as it all turned out, the commissioner actually did Sean a great big favor. With that extension voided, Payton and his agent were able to re-open negotiations with Saints general manager Mickey Loomis and owner Tom Benson. Belichick is joined by the new head coach of the Kansas City Chiefs at the $7.5 million level. In fact eight of the top-ten earning coaches in sports are from the National Football League. Pete Carroll of the Seattle Seahawks, Jeff Fisher of the St. Louis Rams and Mike Shanahan of the Washington Redskins will make $7,000,000 next year followed by Tom Coughlin of the Giants at $6.7 million with Chip Kelly of the Eagles bringing in $6.5 million. In the NBA, Doc Rivers of the Celtics tops the list at $7 million & Gregg Popovich of the Spurs will make $6 million next year.